JMT’s work on two projects were honored at the Maryland Quality Initiative (MdQI) 26th annual conference in Baltimore. 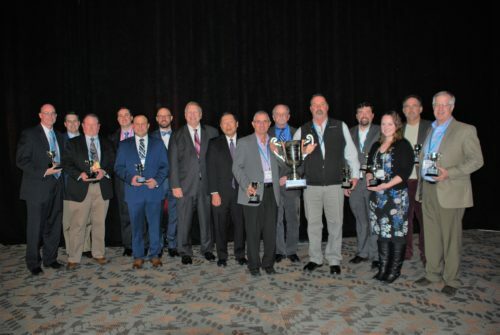 JMT’s tri-joint venture with Wallace Montgomery and RK&K earned three honors for the MD 404 design-build project on Maryland’s Eastern Shore, including one of the year’s two top prizes with Project of the Year – Over $5 Million. JMT also was honored for our work to structurally restore and beautify Preston Gardens in downtown Baltimore. MdQI is a cooperative effort by Maryland’s transportation industry dedicated to the continuous quality improvement in the planning, design, construction, and maintenance of Maryland’s transportation system.